There are concerns about Ukrainians' health. Ukrainian ombudsperson Lyudmyla Denisova, who is in Russia now, has been denied access to correspondent Roman Sushchenko and other political prisoners there. Ukrainian first deputy speaker Iryna Herashchenko suggested that Russia is doing this to conceal the information about their health and exert psychological pressure on them. "Despite the agreements reached at the highest level, Lyudmyla Denisova, who has been in the Russian Federation for five days already, has been denied access to Ukrainian political prisoners (she was not allowed to visit Oleh Sentsov, Mykola Karpyuk, Roman Sushchenko). Concealing the truth about the prisoners and denying access to them are most likely indications of the deterioration of Ukrainians' health, psychological pressure on them," she said on Facebook. 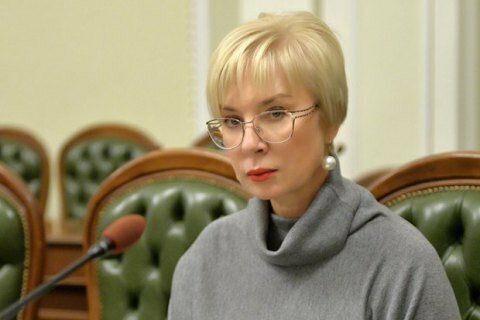 Denisova was expected to raise the issue of Russia failing to honour the presidents' agreement on access to persons in custody at a meeting with Russian ombudsperson Tatyana Moskalkova.